Seeing many bright reds from you girls it's finally time to get my hands on some. I have been so obsessed with Essie minis lately. They are so cute! 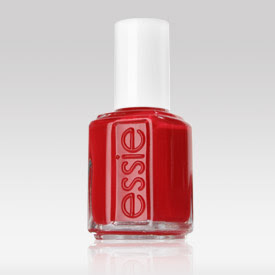 According to Essie, it is a candy cane red. For me, its is a true bright red. Love your red nails! makes me wanna sport my red nail polish again too :D I'm sure you'll look great in your bikini!! Tnx for ur sweet comment! the mini version are so cute haha!!! that is a really pretty red!! That is a really bright red! Pretty!